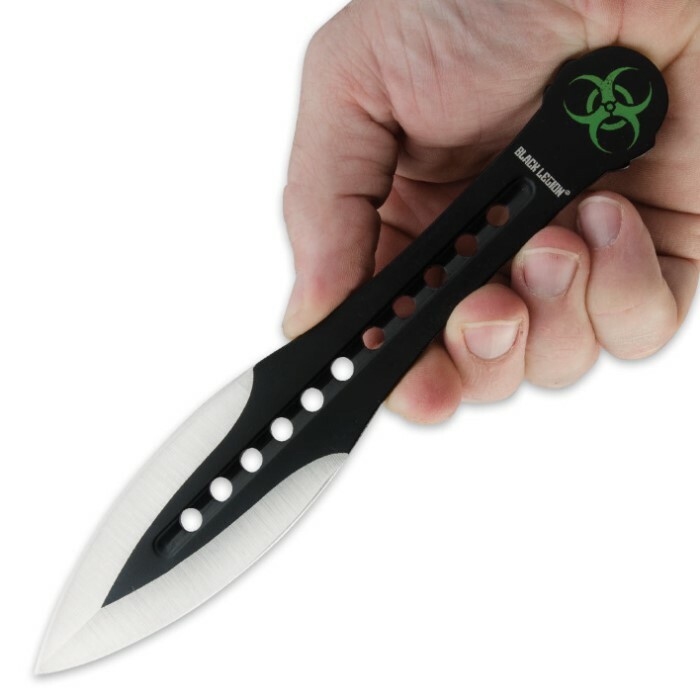 Ultra sleek, each double edged knife has been precision forged from stainless steel. Features include a recessed center groove lined with holes, flared end of handle, and two-tone blackout / silver finish. Adding character to this piece, biohazard artwork is screen printed atop each handle. 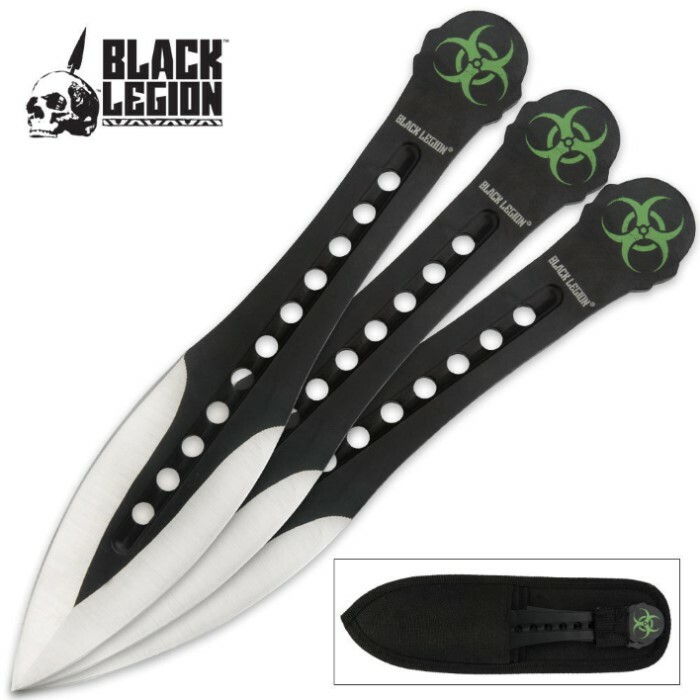 For ease of carry and storage, these knives come bundled are a black nylon sheath with belt loop. 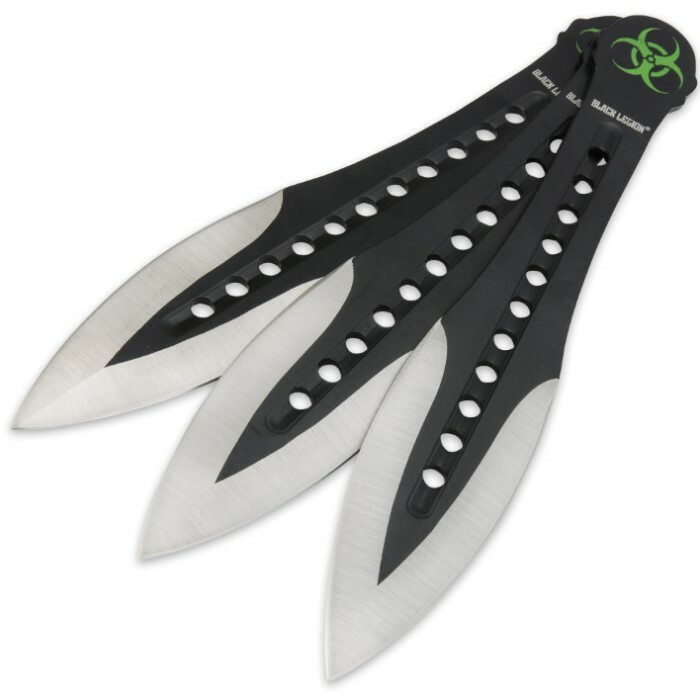 Part of our Biohazard Throwing Knife series, each knife measures 7 1/2 in. overall.